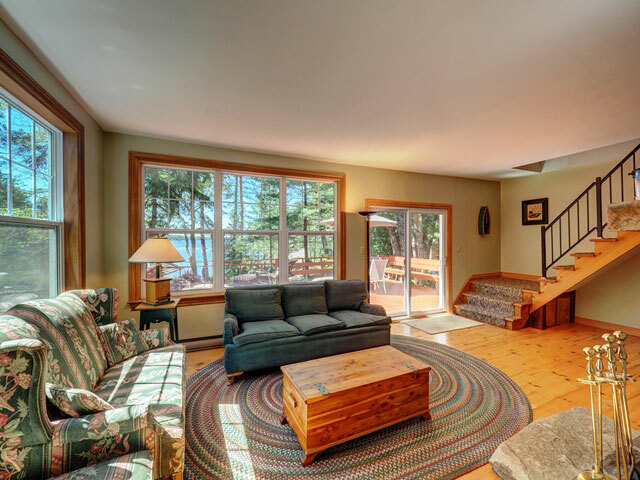 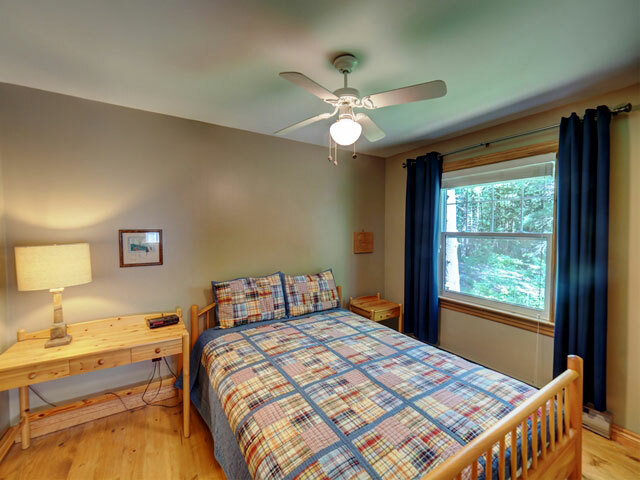 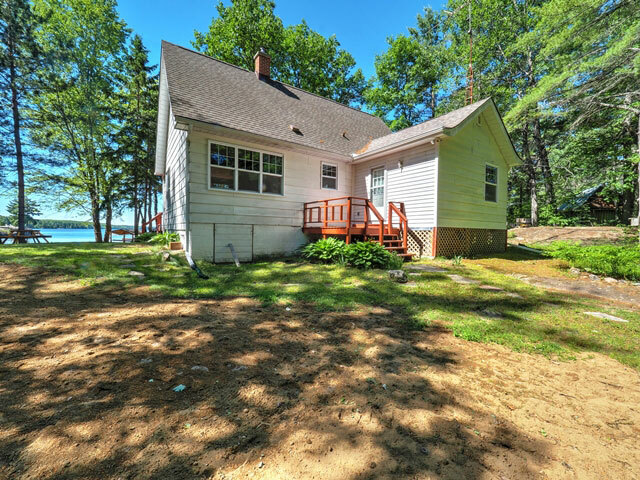 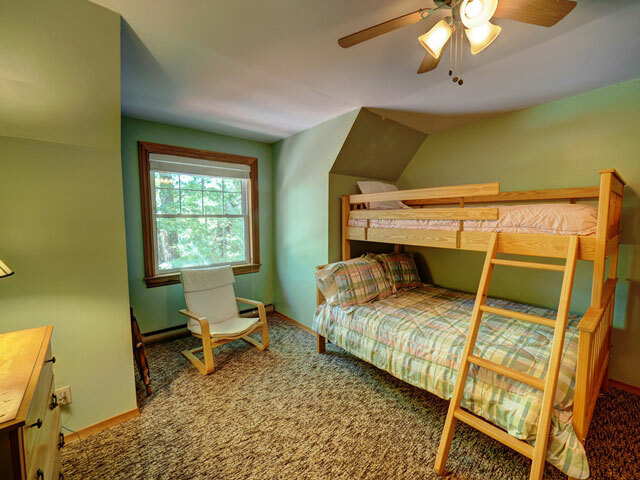 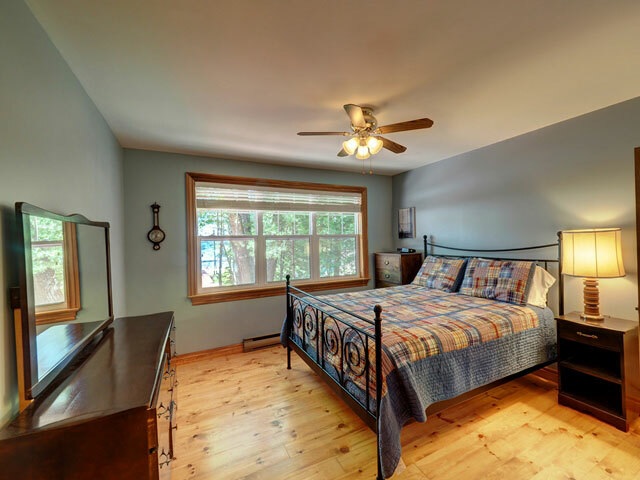 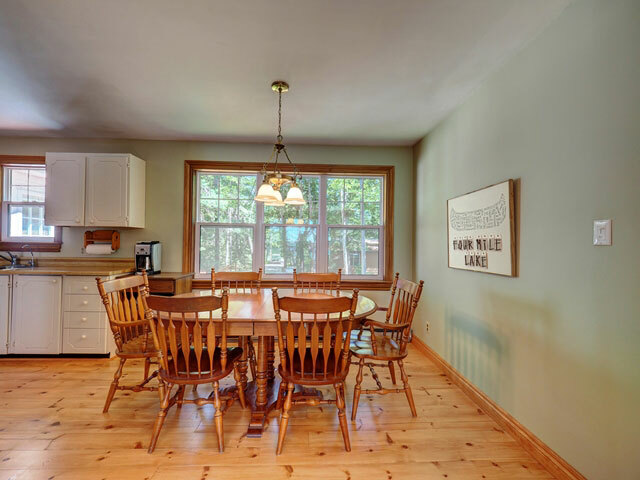 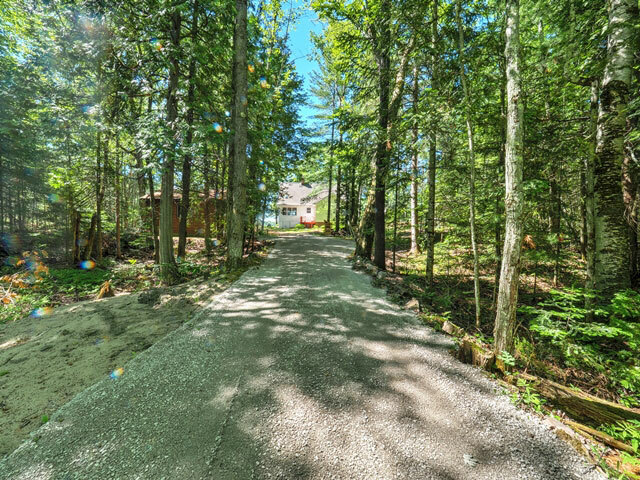 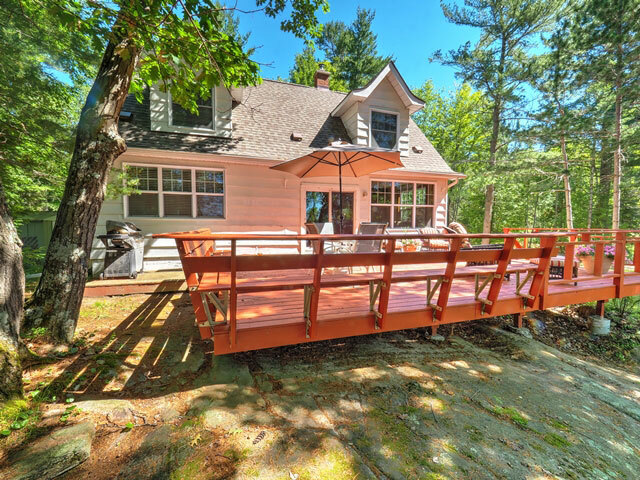 Located at the north end of Four Mile Lake, this is a lovely 1½ story Cape Cod-style cottage with four bedrooms, including a main floor master, and two bathrooms. 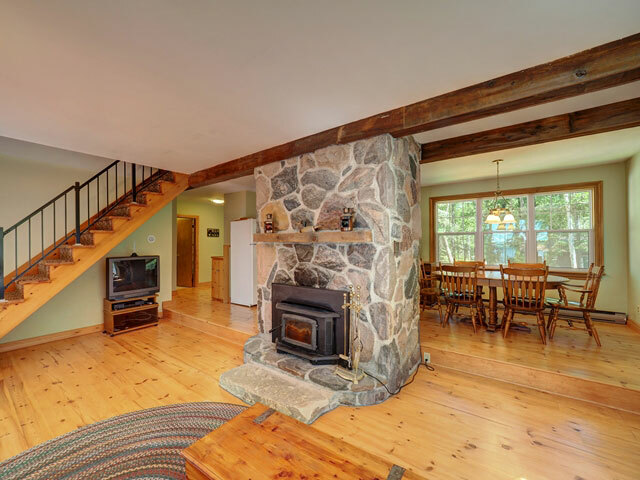 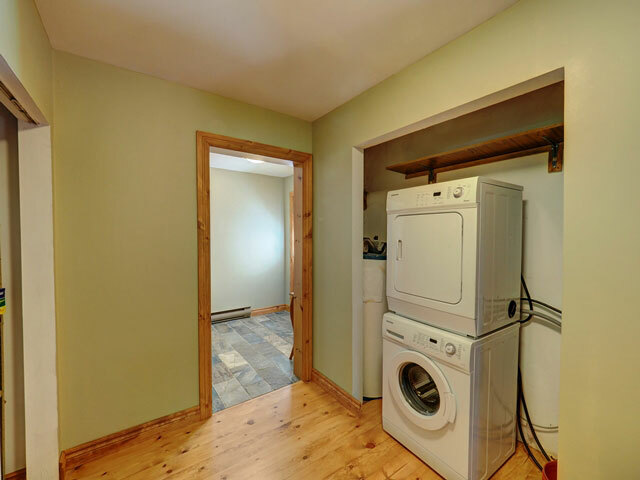 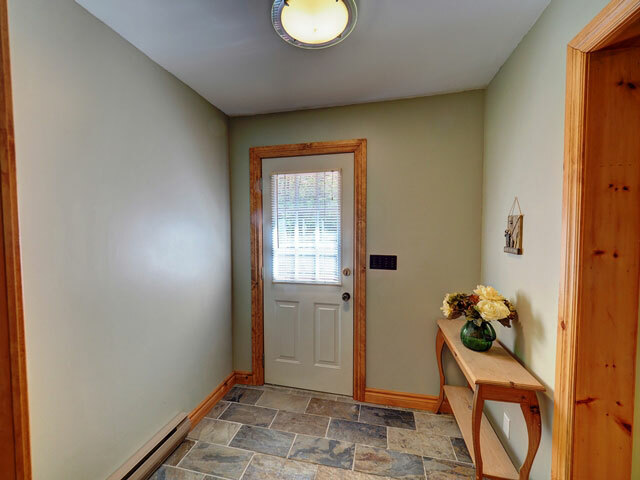 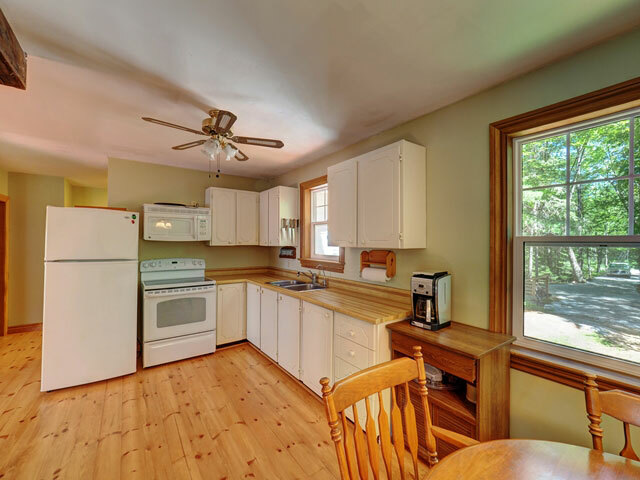 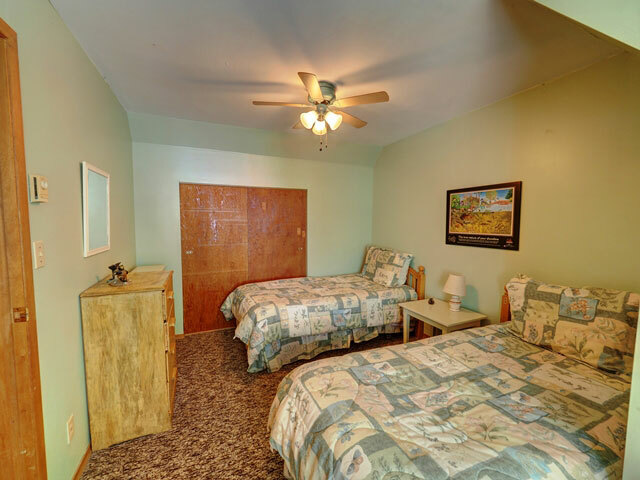 The main floor has attractive pine floors, and the living room has a stone fireplace with an efficient insert. 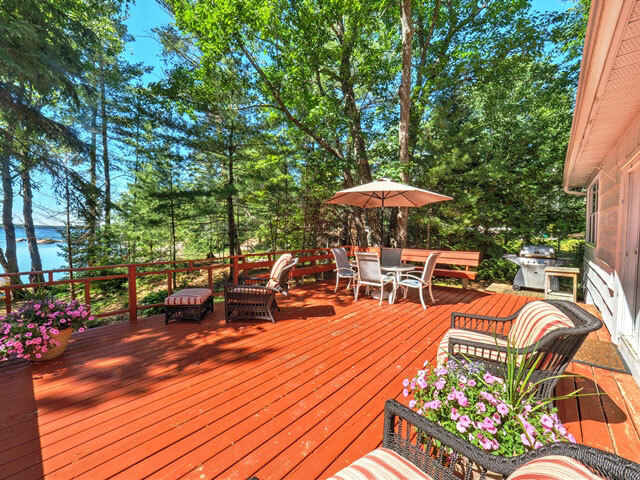 Patio doors from the living room lead to a very large waterside deck. 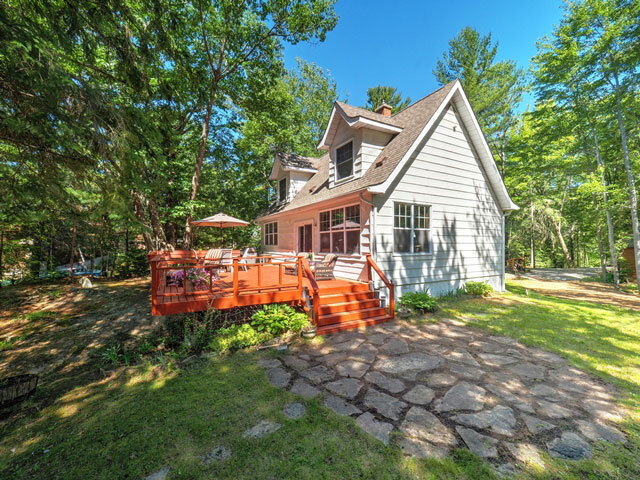 The cottage is situated on a large (0.94 acres) flat lot which provides excellent privacy. 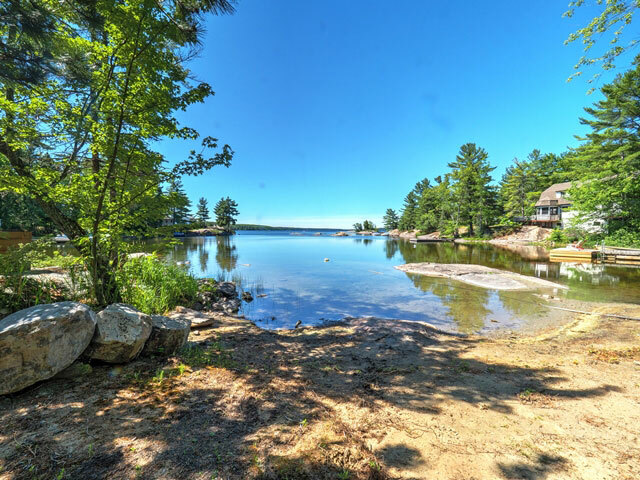 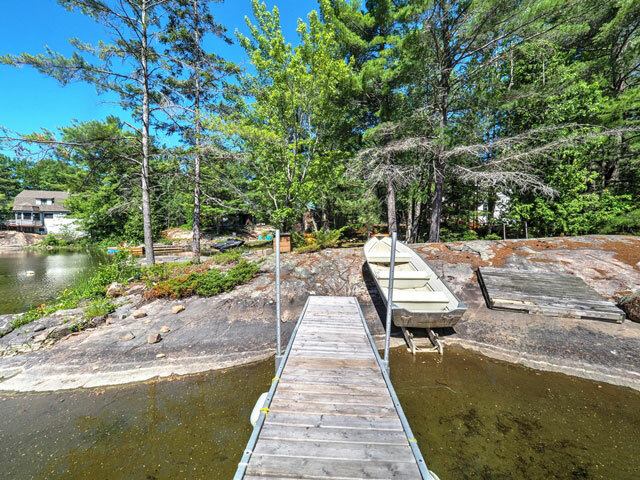 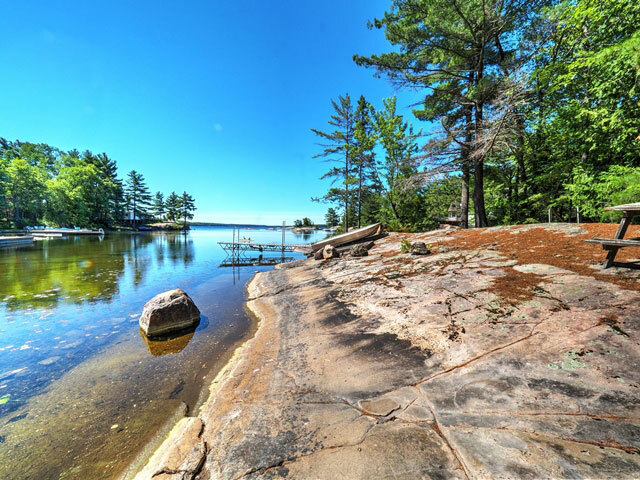 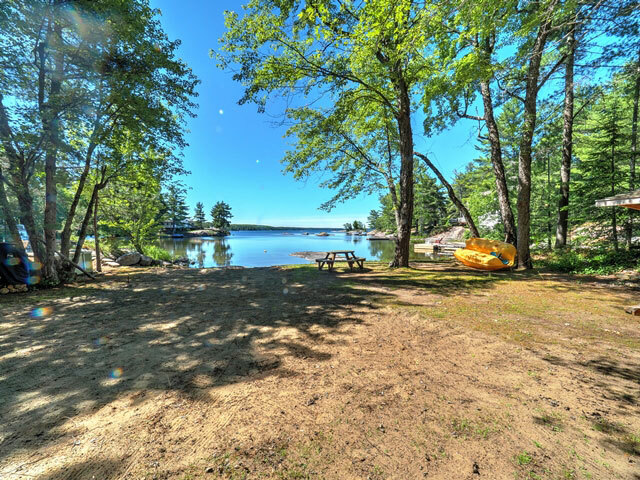 There is a wide sand beach at the waterfront, as well as many attractive granite outcroppings, including a smooth point on the left edge of the property where the dock and boating facilities reside. 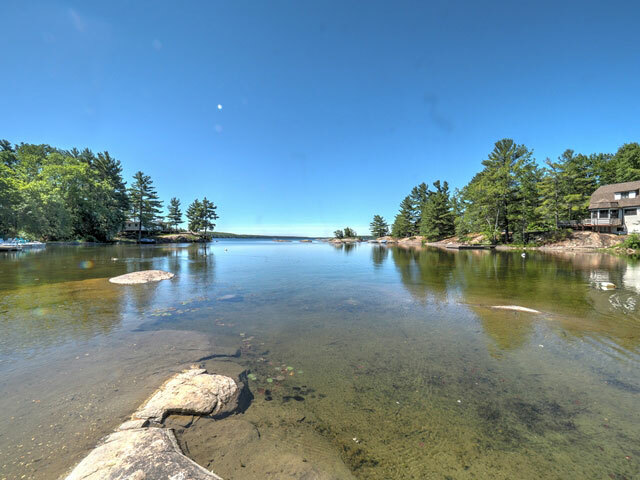 The waterfront was dredged in 2018 to add additional water depth at the near shoreline. 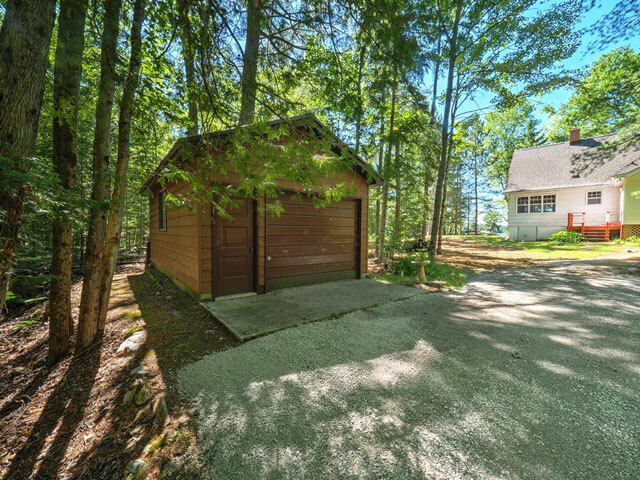 A detached single car garage is located at the rear of the property. 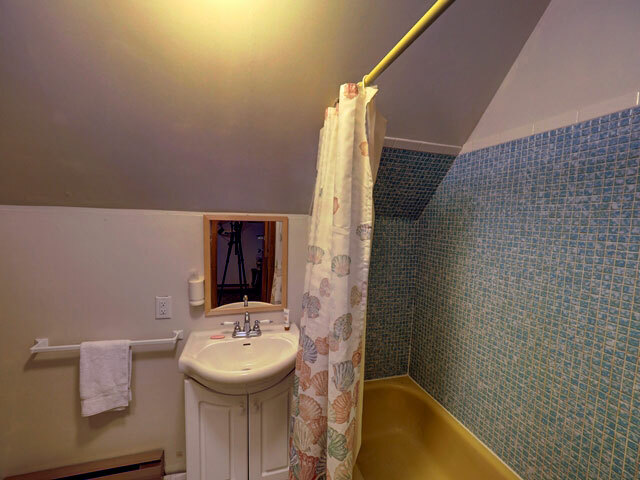 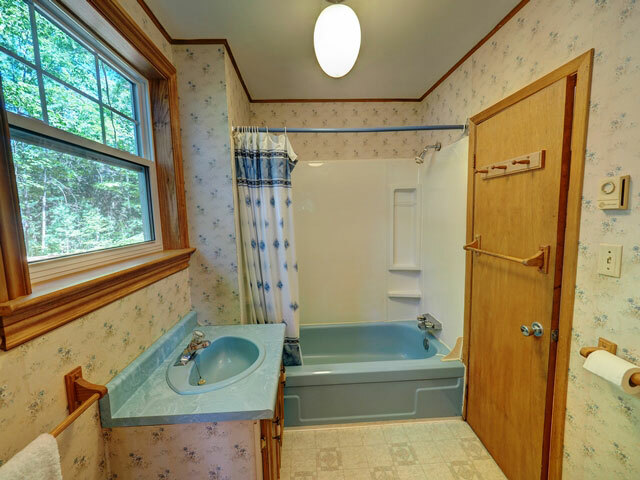 There have been many recent upgrades to the cottage, including a newer septic system. 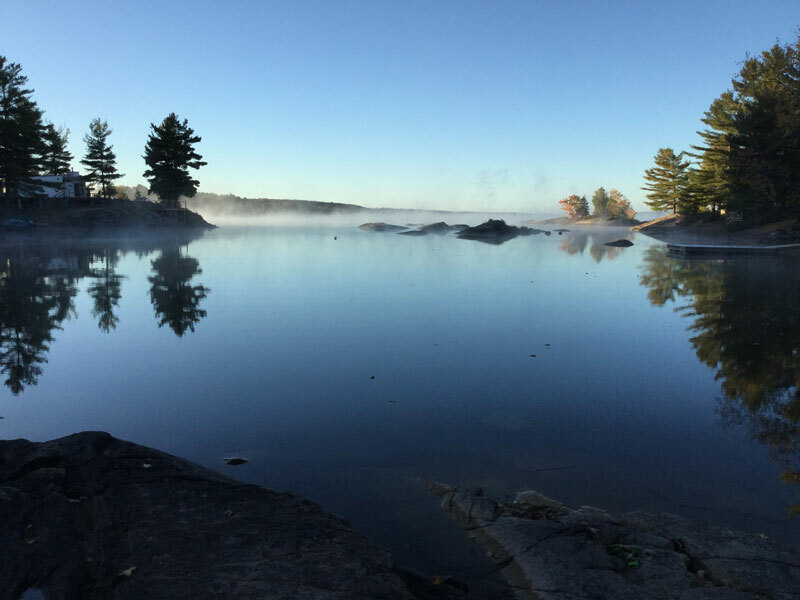 There is also an extensive list of inclusions.